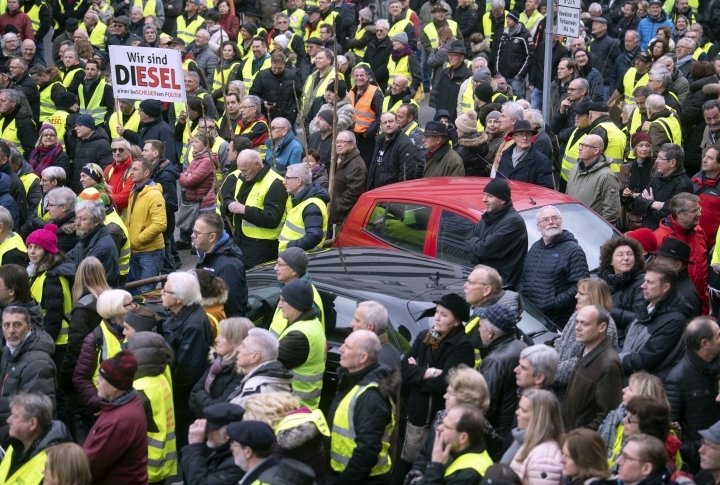 BERLIN — German police say around 800 people have demonstrated in the southwestern city of Stuttgart against a new ban on driving older diesel cars. 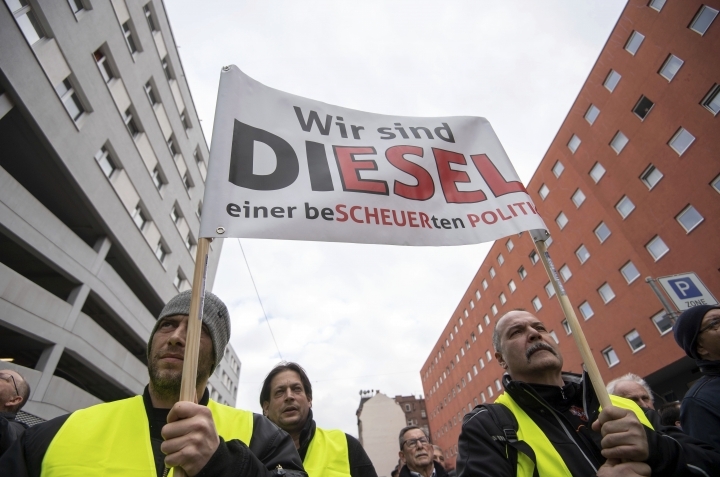 Stuttgart, a German auto industry center, on Jan. 1 became the first major German city to introduce a large-scale ban on driving older diesel cars with looser emissions standards. The move aims to fight air pollution but critics say they don't have money to buy new cars. 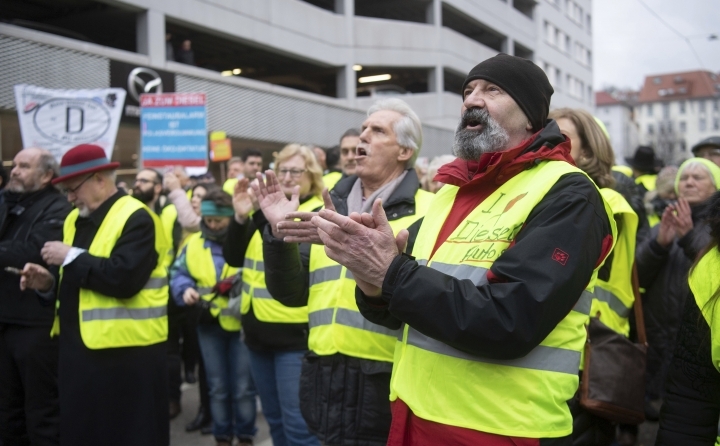 The dpa news agency reported that nearly half of Saturday's demonstrators wore yellow vests, a reference to anti-government protests in neighboring France that began with protests against a fuel tax hike. Various diesel bans have been introduced or are upcoming in several other German cities. The protests in Stuttgart started three weeks ago.